The State Integrity Investigation, a national investigation last year by news organizations that included IowaWatch and The Gazette of Cedar Rapids into how open government is in all 50 states, was one of five finalists for this year’s Goldsmith Prize for Investigative Reporting. The Chicago Tribune won the $25,000 prize, which was awarded this week (March 5) by the Shorenstein Center at Harvard University’s John F. Kennedy School of Government. 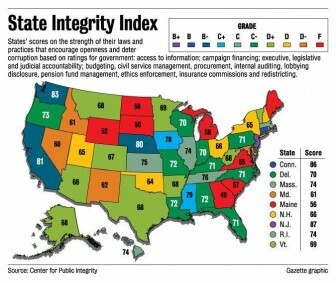 The State Integrity Investigation, devised and led by the Center for Public Integrity, Global Integrity and Public Radio International, created a tool for measuring how effective open records and open government laws are in curbing corruption and promoting accountability and openness in each U.S. state. The results included accelerated reform in government and an increase in disclosure requirements in many states. Reporters from IowaWatch and The Gazette conducted the Iowa portion of the study. 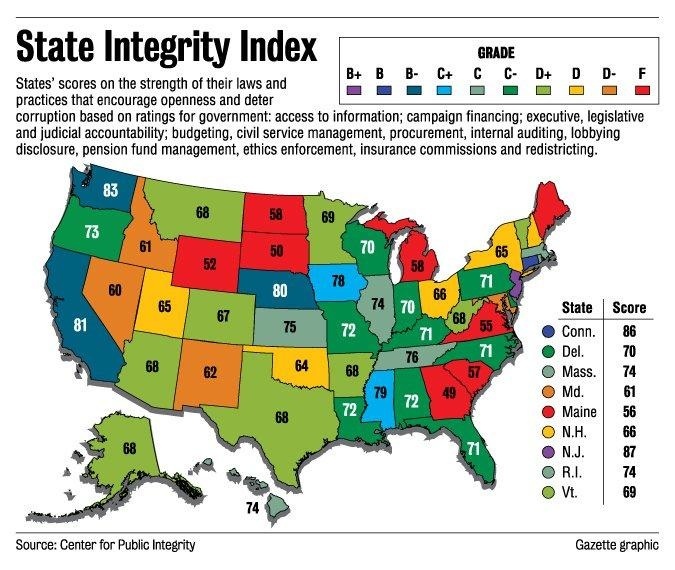 Iowa scored a C+ overall on a typical grading scale of A, B, C, D and F, ranking seventh in the nation in terms of government accountability. However, the state received a failing “F” grade for the effectiveness of its open records laws when citizens have difficulty gaining access to government information. A little more than a month after the report’s release the Iowa Legislature passed a law establishing an Iowa Public Information Board, which is to help citizens pursue open records/open meetings questions and complaints and to help government bodies with questions about the state’s government sunshine laws. Gov. Terry Branstad cited the State Integrity Investigation’s Iowa findings when he signed the bill into law, which had been in the works for six years before it finally was passed. The Public Information Board was appointed last year and has been organizing since then. It is to begin dealing with public questions and complaints on July 1. IowaWatch is a non-profit, non-partisan news organization that does collaborative investigative and public affairs reporting, and trains students at universities and colleges in Iowa to do this kind of reporting. The story about the report can be found here.